Sevati by Mirabai Ceiba is nominated for the Best Vocal Album of 2015! We are thrilled to announce that both Mirabai Ceiba and Krishan have been nominated for the ZMR Music Awards for 2015! 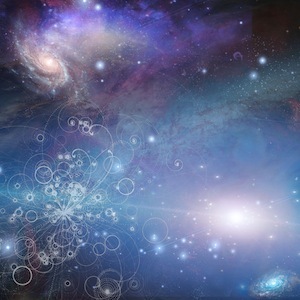 The ZMR Awards is an annual event recognizing the best in New Age, World, Ambient, and many other genres of music. Awards are given based on the votes of broadcasters who submitted Top 20 lists to the Zone Music Reporter for the year 2015. 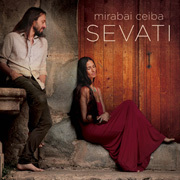 Mirabai Ceiba earns a nomination for Best Vocal Album of 2015 for their incredible album Sevati. Sevati debuted at #1 on the World Music Charts in 13 different countries and continues to inspire people all over the world. 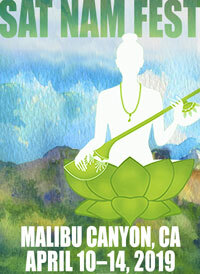 Mirabai Ceiba won the award for Best Vocal Album of 2012 for their album Between the Shores of Our Souls. 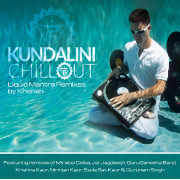 Krishan receives a nomination for Best Chill/Grove Album for his awesome compilation Kundalini Chillout: Liquid Mantra Remixes featuring music from many of your favorite kundalini mantra artists including Jai-Jagdeesh, Mirabai Ceiba, Nirinjan Kaur, GuruGanesha Singh, Krishna Kaur, Sada Sat Kaur, and Gurunam Singh. Kundalini Chillout by Krishan is nominated for the Best Chill/Groove Album of 2015! Award Winners will be announced in New Orleans at the 12th Annual ZMR LIVE Music Award Show on Saturday May 7th, 2016. Best of luck to Mirabai Ceiba, Krishan, and all of the 2015 nominees! It’s been an amazing year for New Age & World Music!